Prices of VR desktops are falling. 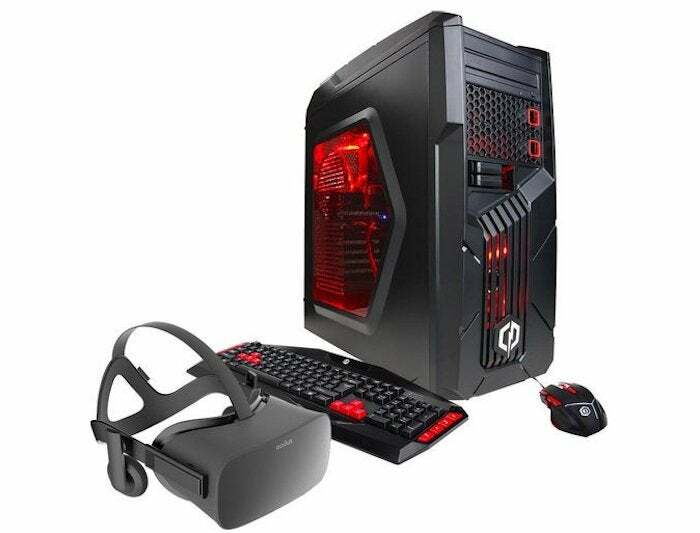 CyberPowerPC’s $499.99 Gamer Ultra VR is the first desktop ready for the Oculus Rift headset that is priced under $500, but there’s a caveat. 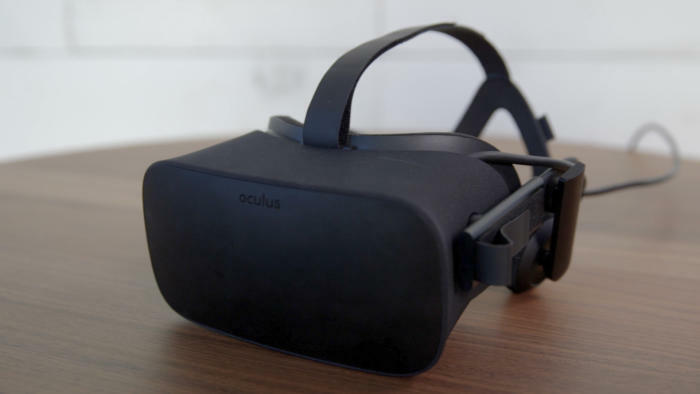 You’ll need to buy it with the Oculus Rift headset, which costs more than the PC at $599.99. The bundle will put you back $1,099.98, but that’s still a good deal for an Oculus Rift plus desktop, which could otherwise get pretty expensive. The Gamer Ultra VR desktop is available on Best Buy and will also be sold by Amazon. The standalone price for the desktop without the headset is $649.99 on both Best Buy and Amazon. By way of comparison, the company’s VR-ready desktops with more powerful GPUs, like Nvidia’s GeForce GTX 1060 and AMD’s RX 480, start at about $800, also not including the headset. The red and black Gamer Ultra VR includes AMD’s quad-core FX-4350 CPU and Radeon RX 470 GPU. It’ll also have 8GB of memory, a 1TB hard drive, three USB 3.0 ports, seven USB 2.0 ports and an HDMI slot. An important detail: CyberPowerPC has not identified the desktop as being ready for the HTC Vive VR headset, which has its own set of minimum hardware specifications. Vive-certified PCs have more demanding minimum hardware requirements that include AMD’s FX-8350 CPU and Radeon RX 480 GPU. The Oculus Rift VR headset. Until now, VR-ready PCs were mainly for buyers who could afford high-priced desktops with top CPUs and GPUs. 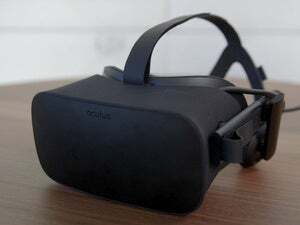 But key technologies developed by Oculus have helped bring down the hardware requirements and the prices of PCs that are certified to run its VR headset. Oculus’s Asynchronous SpaceWarp helps the modest FX CPU and RX 470 GPU in the Gamer Ultra VR deliver a high-end VR experience at a fraction of the cost. ASW smooths out the VR experience by creating “synthetic frames” that pump up the frame rate for a better VR experience. It does so by analyzing previous frames, head movement and motion. For example, if a GPU were delivering 45 frames per second, ASW’s calculations could virtually pump that up to 90 frames per second to improve VR. ASW “almost halves the CPU/GPU time required to produce nearly the same output from the same content,” according to Oculus. Gartner is expecting shipments of VR-capable PCs to go up as interest in head-mounted displays grows. Prices of the desktops should continue to fall as lower-end GPUs add support for VR headsets.